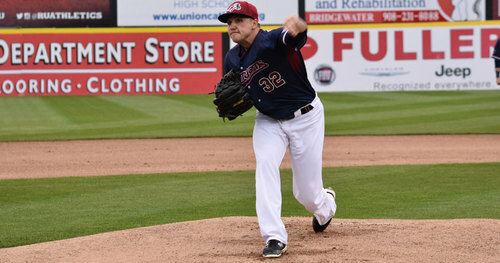 Bridgewater, NJ- The Somerset Patriots have announced that left-handed pitcher and Major League Baseball veteran Aaron Laffey has been signed for the 2017 season. Laffey enters his first season with the Somerset Patriots and first in the Atlantic League. The veteran southpaw has eight years of service in the big leagues, including four seasons with the Cleveland Indians (2007-10), half of a season split between the Seattle Mariners and New York Yankees (2011) and time with the Toronto Blue Jays (2012-13), New York Mets (2013) and Colorado Rockies (2015). Over 156 games in the majors (68 starts), Laffey recorded 26 wins with a 4.44 ERA in 494.1 innings of work. The Ridgeley, West Virginia resident has split time in each of the last six seasons between the majors and the Triple-A level. Last year, Laffey went 6-6 with a 3.82 ERA over 29 games (14 starts) with Triple-A Syracuse in the Washington Nationals organization. The year prior, he went 5-4 over 27 games (12 starts) with Triple-A Albuquerque before earning a promotion to the majors with the Rockies. Laffey carries a 47-38 record over 157 games (114 starts) at the Triple-A level. The 16th round draft pick in 2003 owns an 80-59 record with a 4.10 ERA and three saves over 14 professional seasons in minor league baseball.